What is IP67 in iPhone 8, 8 Plus and iPhone X? Cupertino just witnessed the most awaited event of 2017, the launch of Apple’s highly awaited —the iPhone 8, iPhone 8 Plus and the iPhone X.
Amongst the glorifying features revealed at the event, the most talked about was the IP67 rating under IEC standard 60529 which is common with all three models. In case you’re still confused about what it is, let us take an in-depth look at it. Must Read: Apple Unveils iPhone 8 and 8 Plus: But What’s New With It? IEC 60529 is a set of standard rules and regulations published by the National Electrical Manufacturers Association. Every electrical device must pass this and the results then decide the IP ratings for dust and water resistance. The “IP Code” means “Ingress Protection.” It simply shows how well an electrical device is guarded against hazardous elements like water and dust. So now as we know what IP stands for, let’s discuss what the following numbers stand for. Interestingly, these numbers represent two individual ratings. The first number represents the rating in accordance to how an electrical device is protected against solid particles like dust. The second number represents the rating in accordance with the protection against water. Having said that, we can take these two digits as ratings that define the phone as dust proof and waterproof. 6: After the IP prefix, the first number i.e. 6 signifies that both the phones are totally dustproof. 7: The second number i.e. 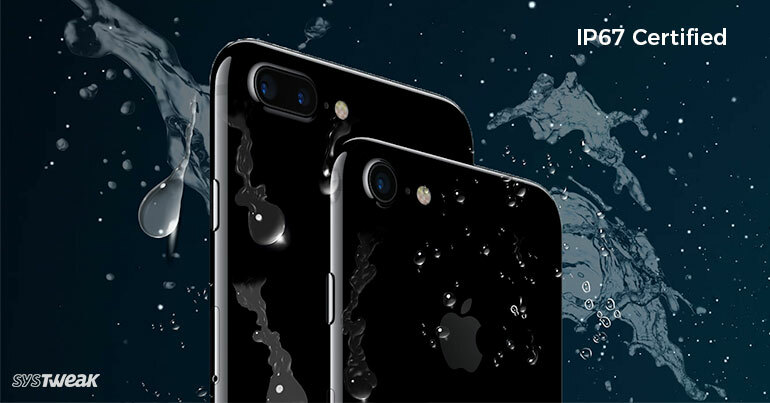 7, means both the devices can by protected when submerged in water as deep as 1 meter for a maximum time limit of 30 minutes. Know when we know what the rating is all about, it is clear that the iOS devices will easily withstand dust and water. However, there are other factors that should be taken care of. Things like saltwater and chlorine are few factors that pose definite damage to your iOS device. So, to escape from spending those extra bucks, try not to drop your phone in a pool, as these damages will perhaps not be sheltered under the warranty. This is another important information stated by Apple saying that any of the new iOS devices if wet, should never be kept for charging. Agreed, spending a huge amount of money delivers quality iOS products, but it is always recommended to use the iPhone with care. Also, it is never recommended to test the phone beyond its limit since it will only damage your phone.